It’s the battle of the college campus coffee shops. Starbucks is known across the country for their fun flavored drinks (cotton candy frappucinos anyone?) 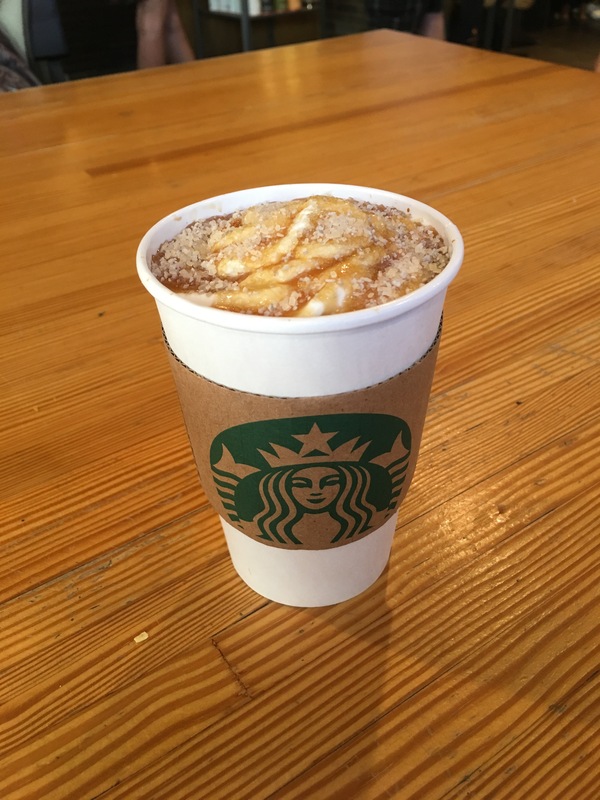 and their fall menu, including the newly reinvented pumpkin spice latte, is legendary. 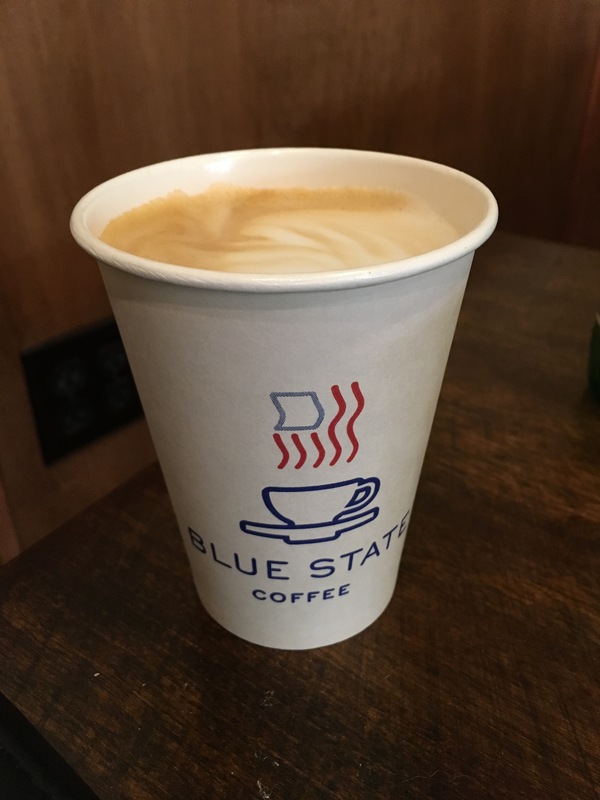 Blue State, with two locations on Yale’s campus, is a more local New Haven spot, as both a coffee vendor and a study spot. As fall kicks into high gear, you might be looking for the perfect little corner to stay warm, study hard and enjoy the perfect fall-themed food. Luckily, I went out and tried samplings from each of their menus so you don’t have to. This was the first thing off of the Starbucks fall menu that I tried. I have to say I was a little bit underwhelmed. It was a little bit dry and the apples on the top had a strange rubbery texture. This one was really good. 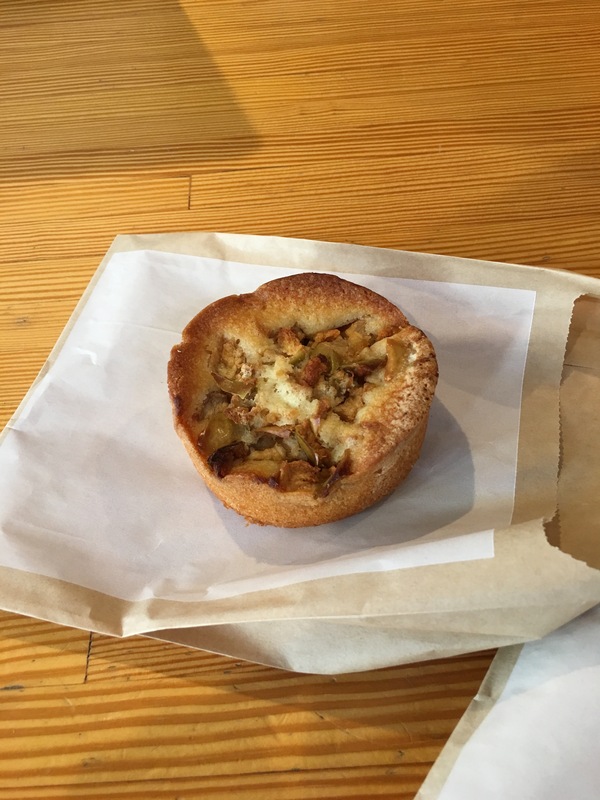 It had a really great texture and it tasted just like pumpkin pie! 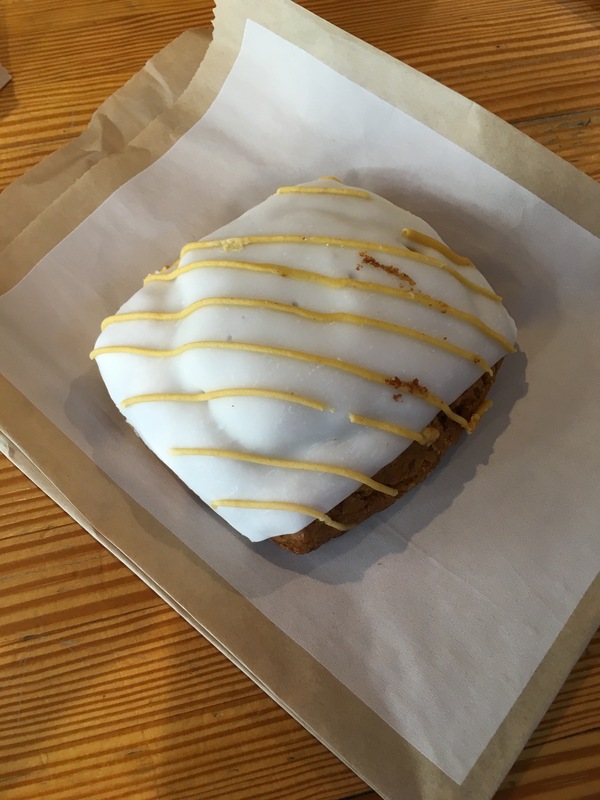 The icing was a little bit on the sweet side, but overall I would definitely order this again. I’ve had salted caramel mochas several times but until now I’d never actually seen what was underneath the lid. Doesn’t it just look amazing!! I have to say I preferred the toppings to the drink itself (caramel salt is just plain amazing), which tasted mostly like hot chocolate. I didn’t have much of a caramel flavor. Or a coffee flavor for that matter. But most drinks from Starbucks don’t. This is a new addition to the Starbucks menu, and it was probably the best thing I tried from Starbucks. It has a sort of cinnamon flavor and tastes like a graham cracker in the best way possible. Over the summer, Starbucks briefly offered a smores frappucino. This latte tasted more like smores than that one did. I, like everyone else, have been highly anticipating the release of the new and improved PSL since Starbucks made the announcement in August. And I have to say, honestly, I liked the old one better. The new one tastes way too much like pumpkin and the change was sort of jarring. 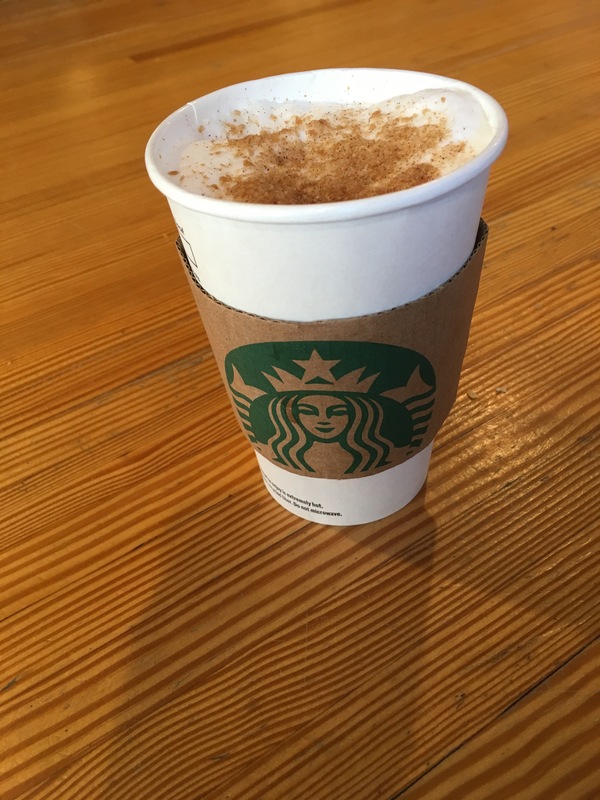 While the drink is called a “Pumpkin Spice Latte”, I think that before the change the understanding was that it wasn’t supposed to taste too much like pumpkin. I think that the new version is fine on it’s own but doesn’t compare to its predecessor. Now Blue State doesn’t exactly have a fall menu in the same sense that Starbuck does, so I tried to choose a few options that fit with the fall theme. This was the first thing I tried at Blue State. 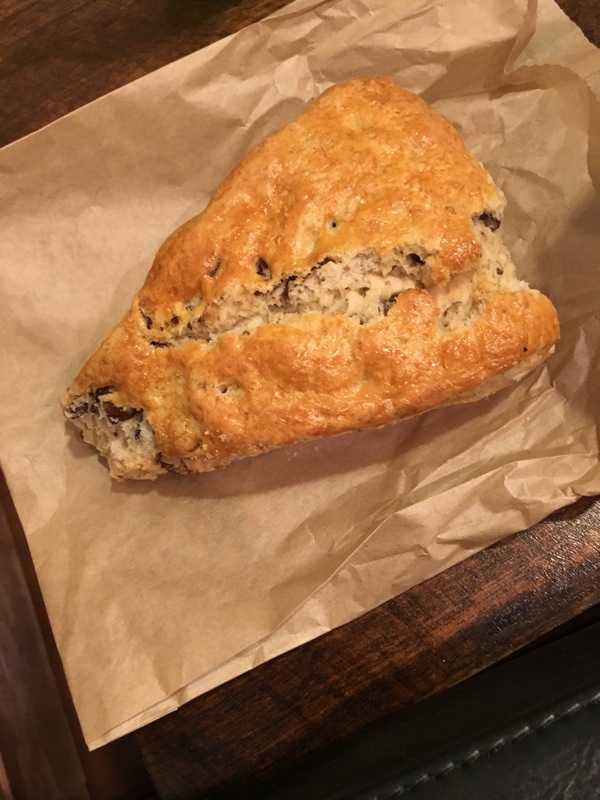 It was sort of average for a scone, a little bit on the dry side, but the brown sugar and pecans were a very good combination, and it tasted just fine. 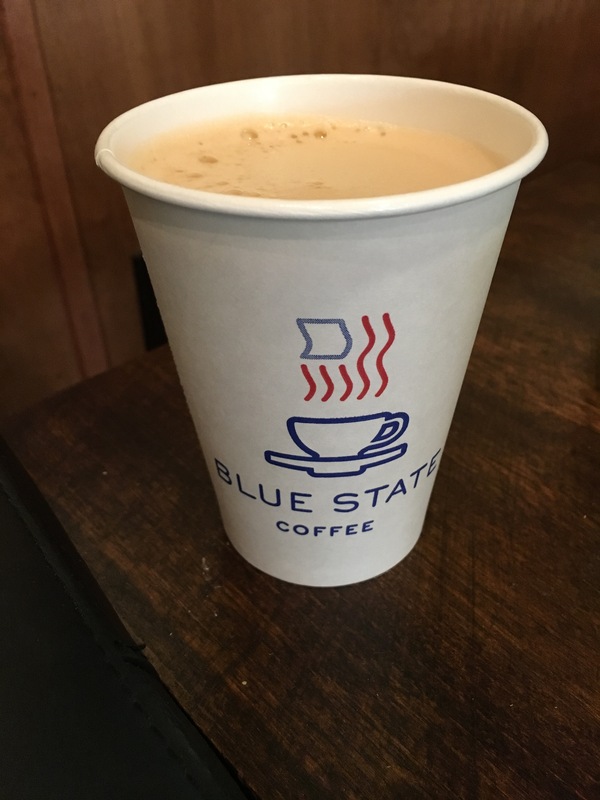 Blue State sadly does not have pumpkin spice, but they do make a latte with pumpkin syrup added. Unlike most of the Starbucks drinks, this tasted like it had real coffee in it. 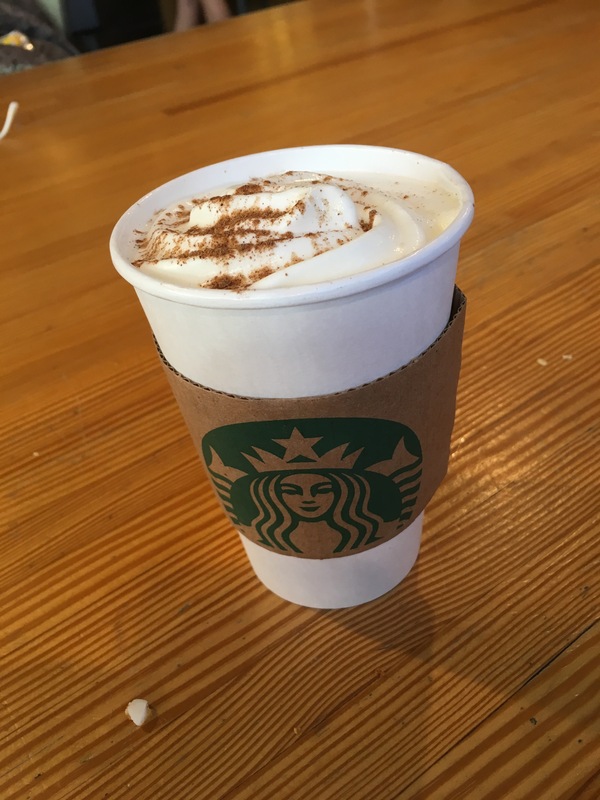 It was a tiny bit on the bitter side, but I appreciated the fact that the pumpkin flavor was not as overwhelmingly strong as it was in the new PSL. For those of you who have never heard of a chaider before, it is a combination of chai and cider. For those of you who have never tried a chaider before, get one now. Seriously. It is life changing. The apple cider makes it sweet while the chai adds just the right amount of spice. It tastes just like fall and happiness. Overall I would say Starbucks wins in terms of creativity and variety, but Blue State’s chaider was the best thing I tried out of everything. If you have time I would say try both.